The new Bilateral Air Service Agreement (BASA) between Tanzania and Netherlands signed on Tuesday June 2nd in Dar es Salaam, is expected to increase air transport services and boost tourism to Tanzania. 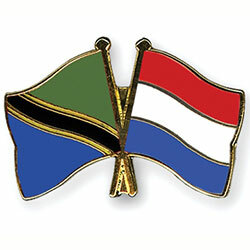 The agreement will increase opportunities of both countries by enabling Tanzania to establish direct and indirect air services to Netherlands in due time, and allowing Netherlands to operate not only in the airports of Dar es Salaam, Kilimanjaro, and Zanzibar, but expand its network to all other international airports of Tanzania. Among other items, the new agreement stipulates aviation safety and security and promotion of international aviation business. During the signing ceremony Tanzanian Minister for Transport Dr Harrison Mwakyembe said that Tanzania and Netherlands have an outstanding social and economic relationship and shared the hope that the aviation sector will promote this relationship in a sustainable way. The Ambassador of Netherlands to Tanzania also welcomed the review and said that the agreement will contribute to the economic growth of both countries, as well as will promote the tourism industry. “Tanzania will do its best to ensure that aviation and security are given the priority they deserve”, said the Minister, continuing: “The review of BASA was vital to five a wider room for the two states to meet growing challenges in the air transport industry including aviation safety and security”. According to Dr Mwakyembe, the number of air passengers in Tanzania is expected to double by 2015 and reach 5.7 million people. Since the beginning of 2014, Tanzania entered into BASA agreements with 52 countries, with the recently signed BASA with Netherlands being a review of a Hague 2012 agreement between the two countries.